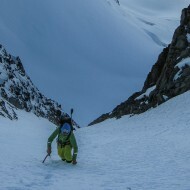 Skiing the east face of Col Superieur du Tour Noir down to La Fouly, with Steph, Wolfgang and Eva. 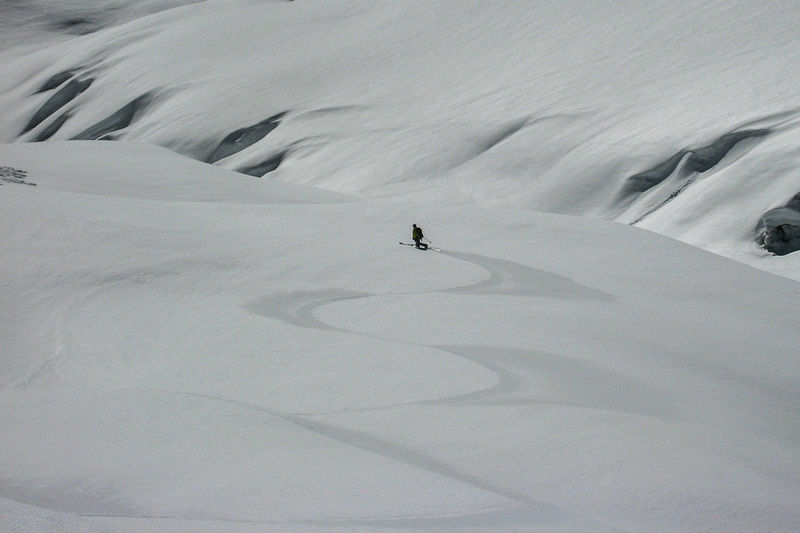 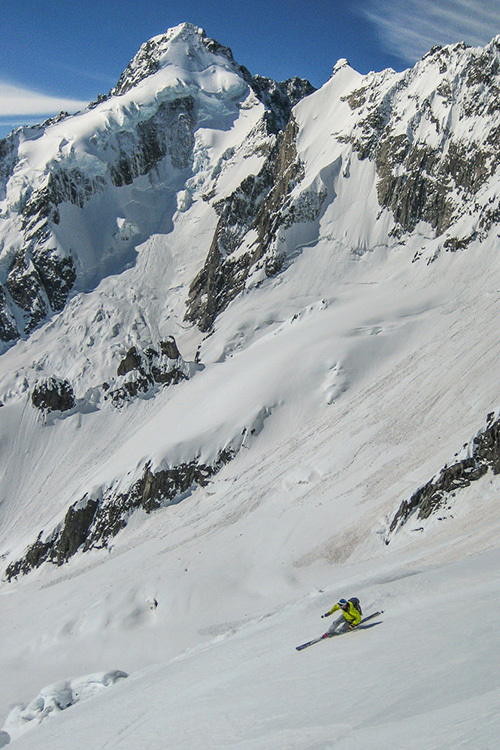 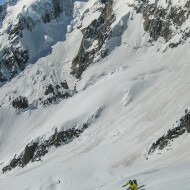 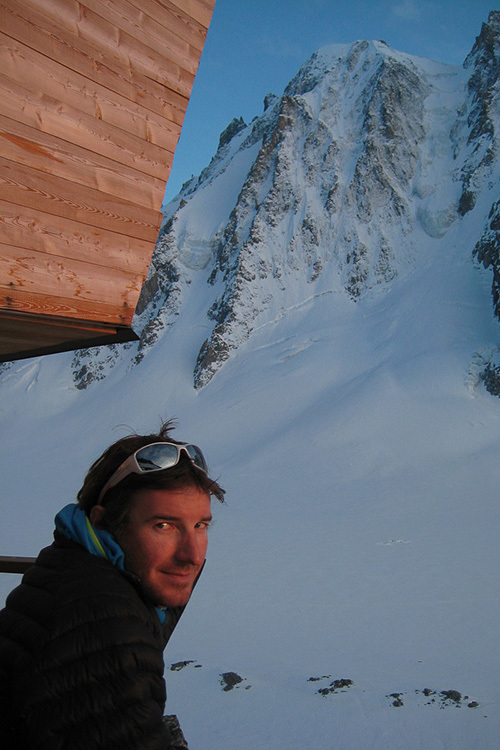 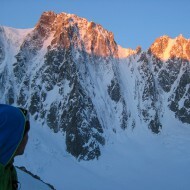 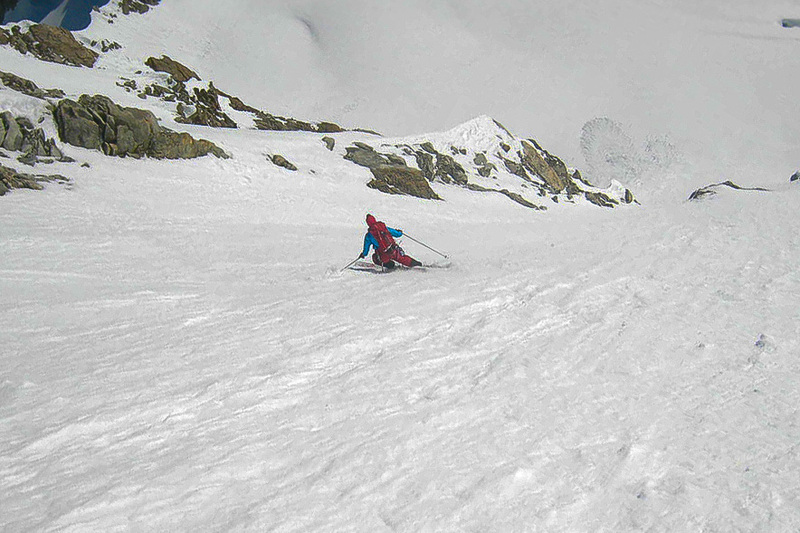 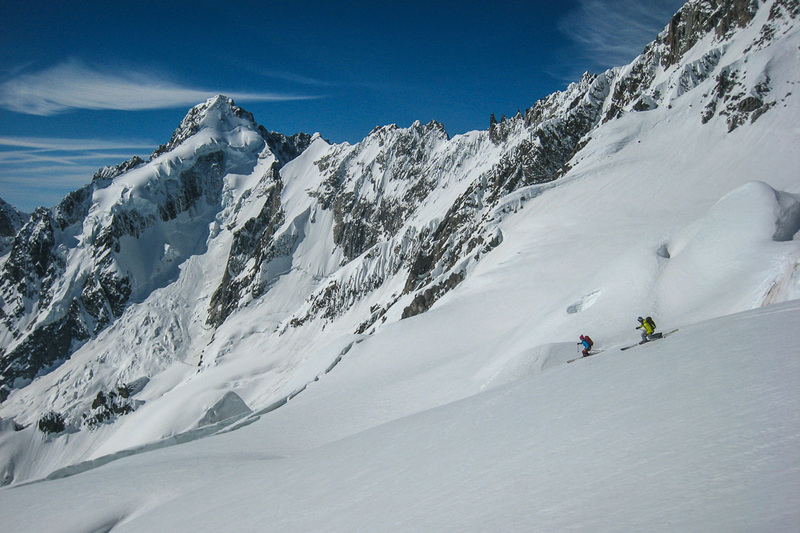 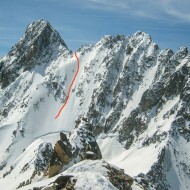 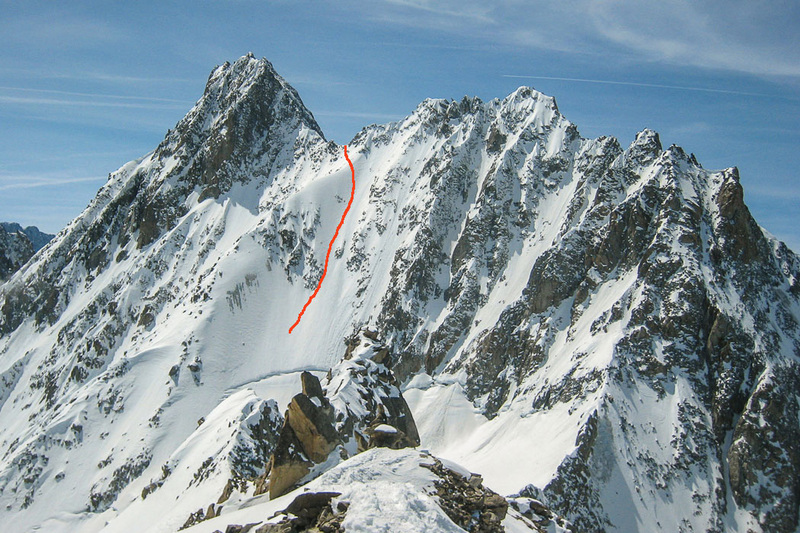 Skiing the Grand Lui 3 days ago we got a good look at the nice looking east face of Col Superieur du Tour Noir. 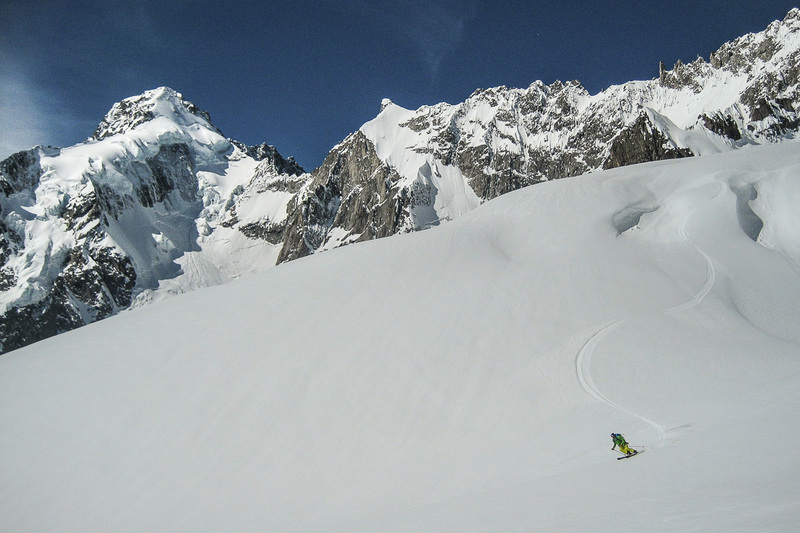 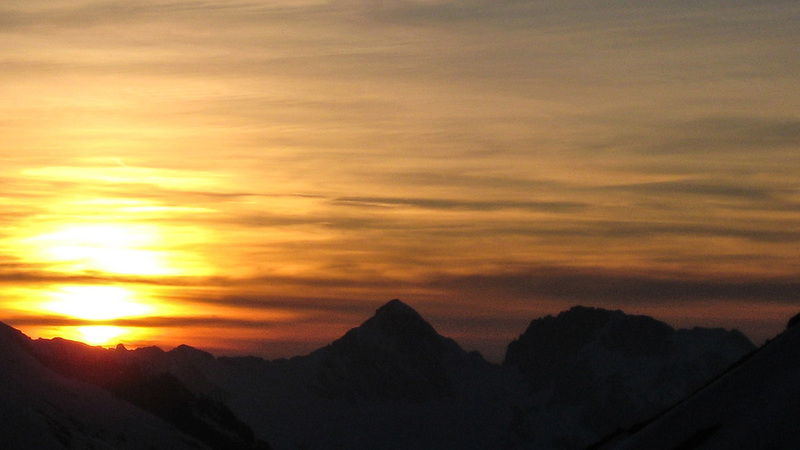 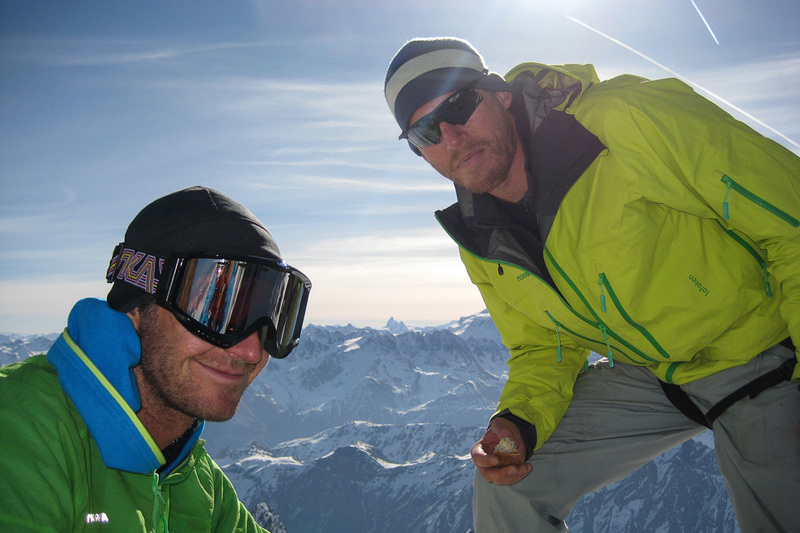 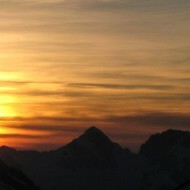 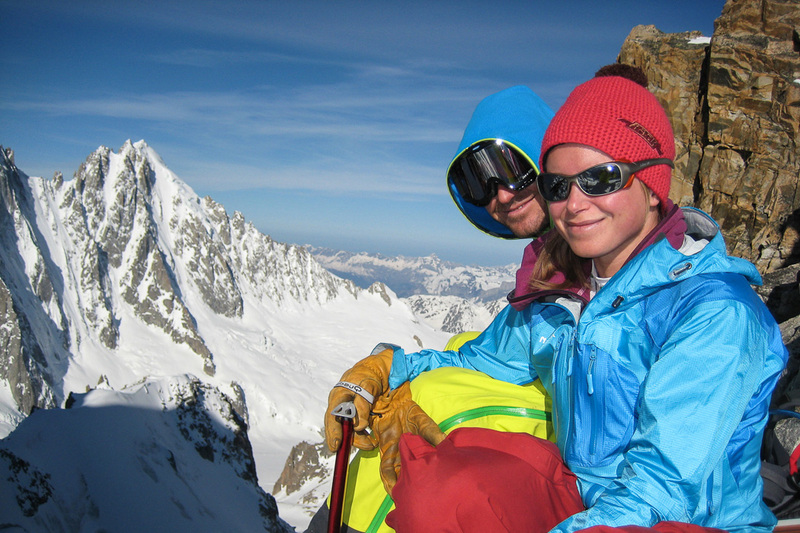 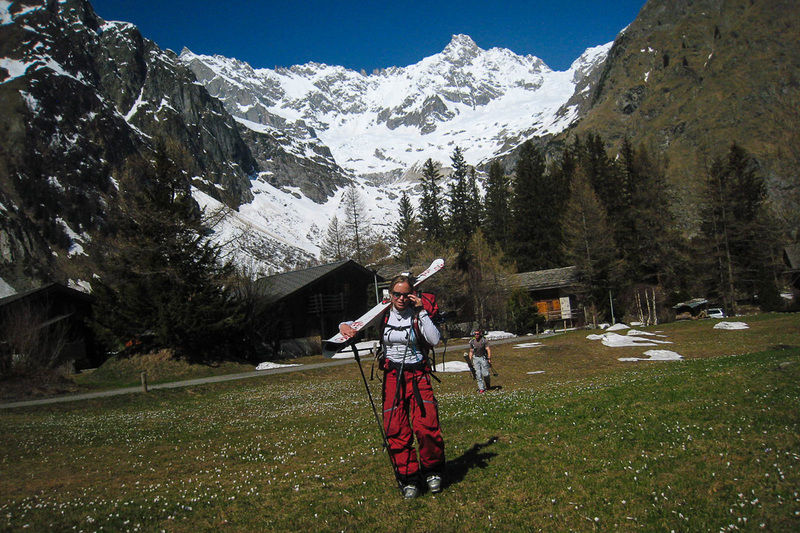 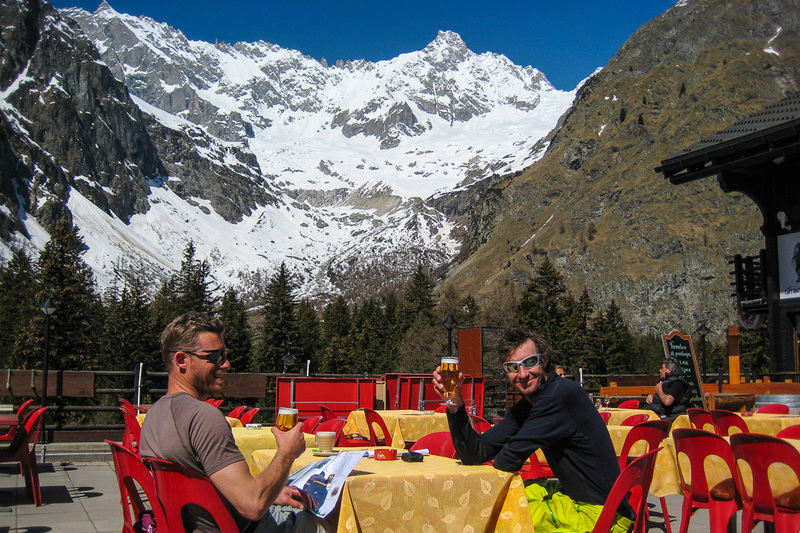 So 2 days later we climbed there from the Argentiere refuge and skied all the way down to La Fouly in Switzerland, where we had already placed a car. 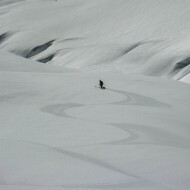 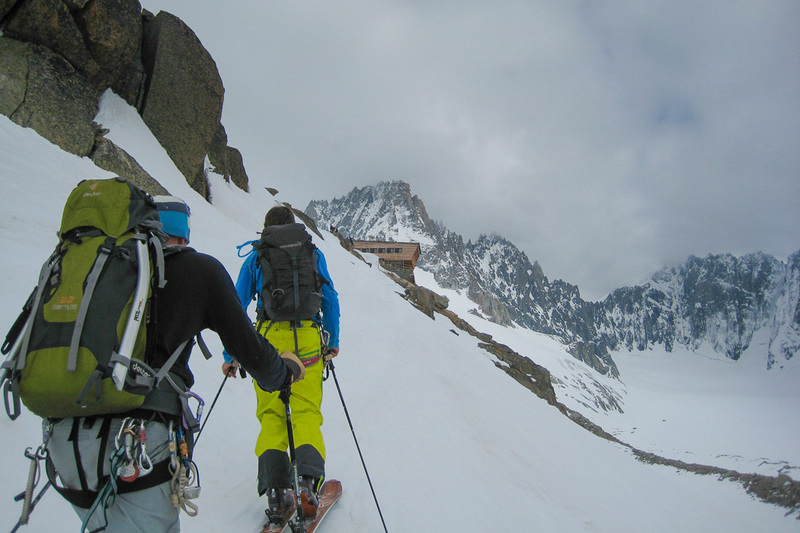 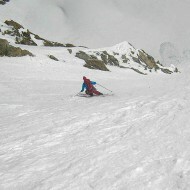 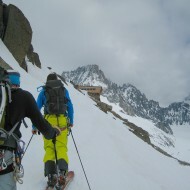 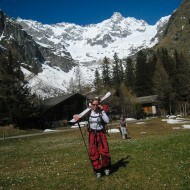 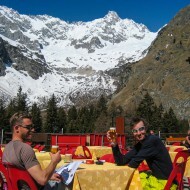 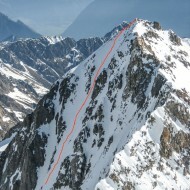 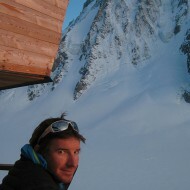 The face is about 300m, 50-45 degree steep, the a long cruise down to La Fouly on the De La Neuve glacier. 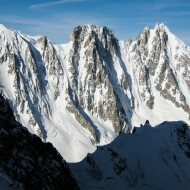 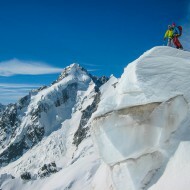 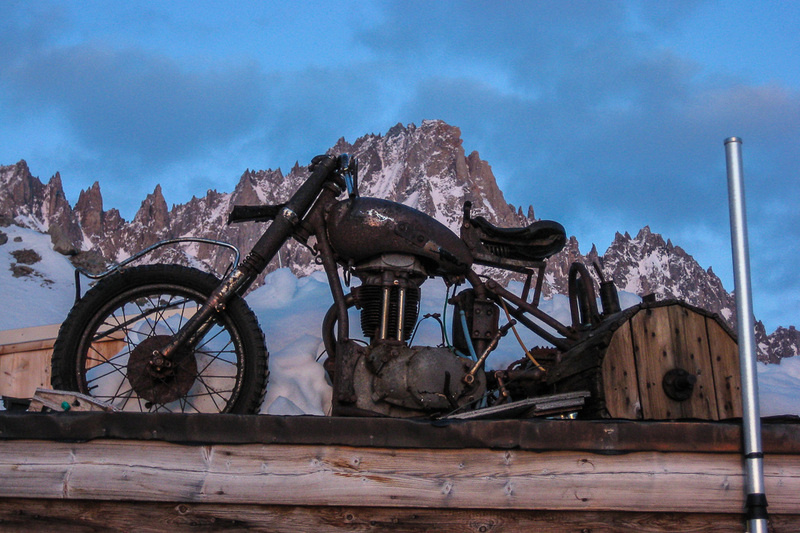 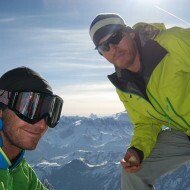 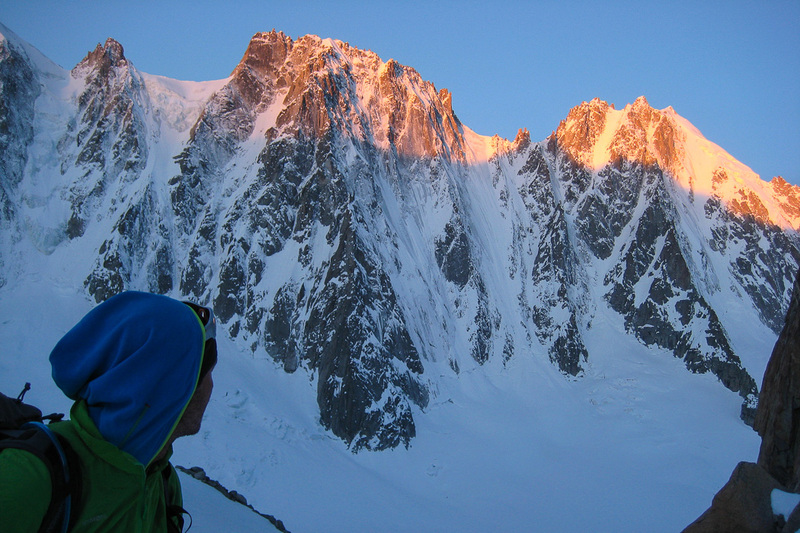 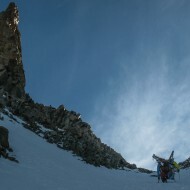 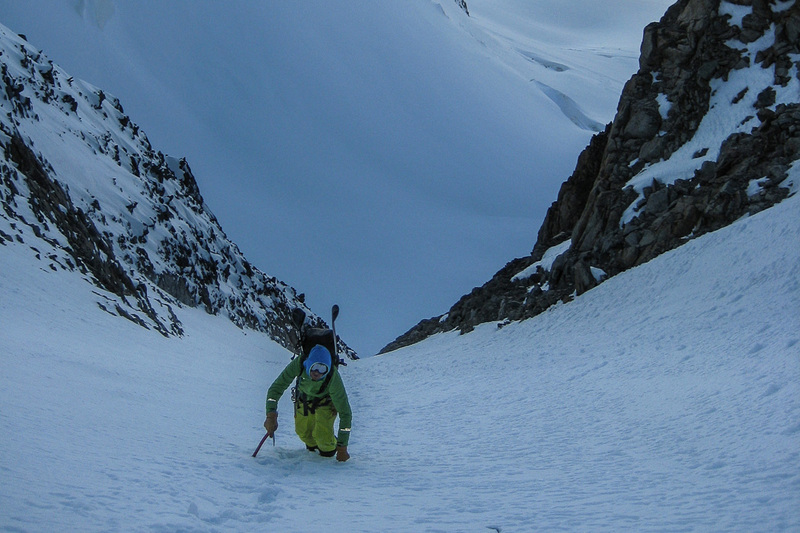 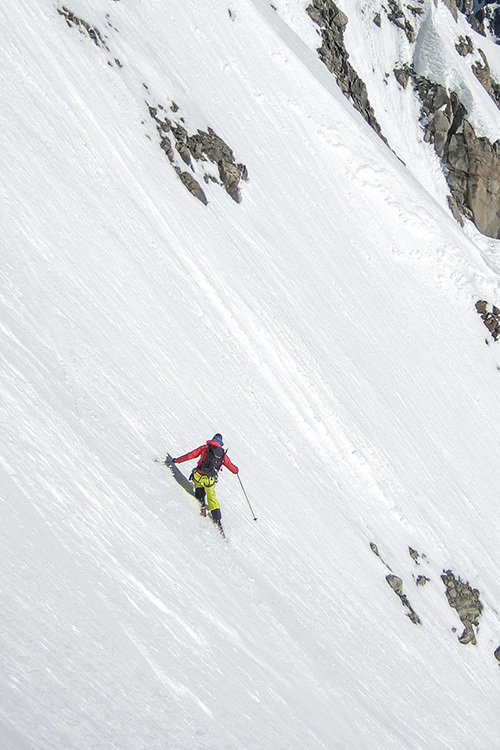 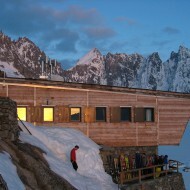 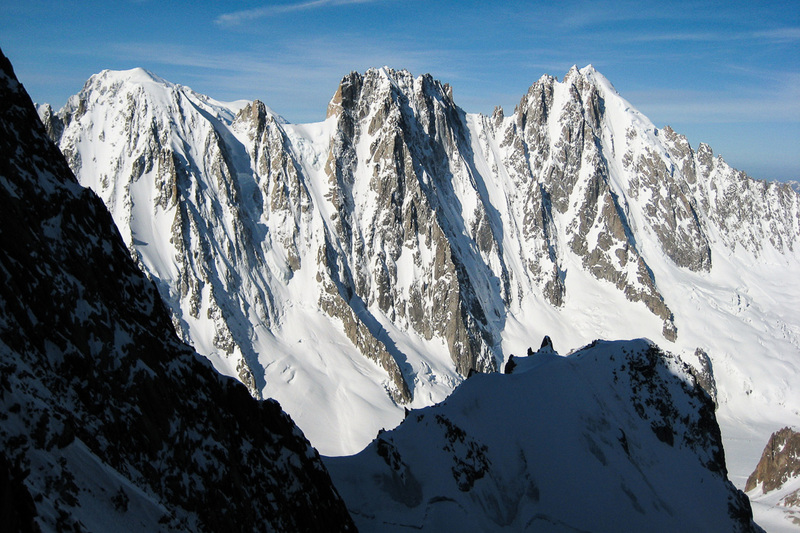 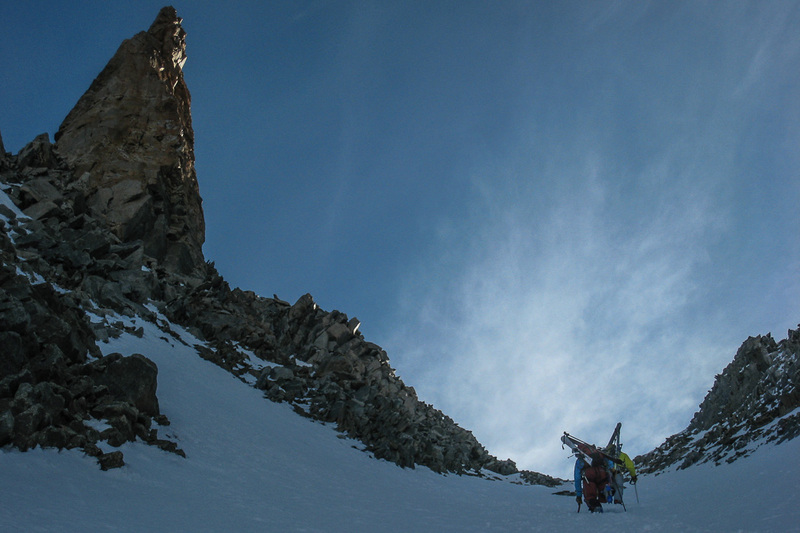 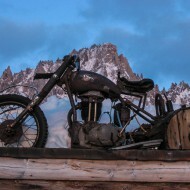 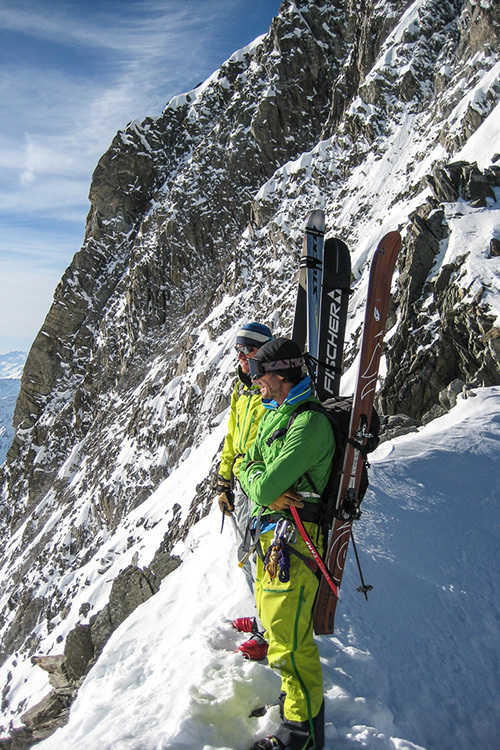 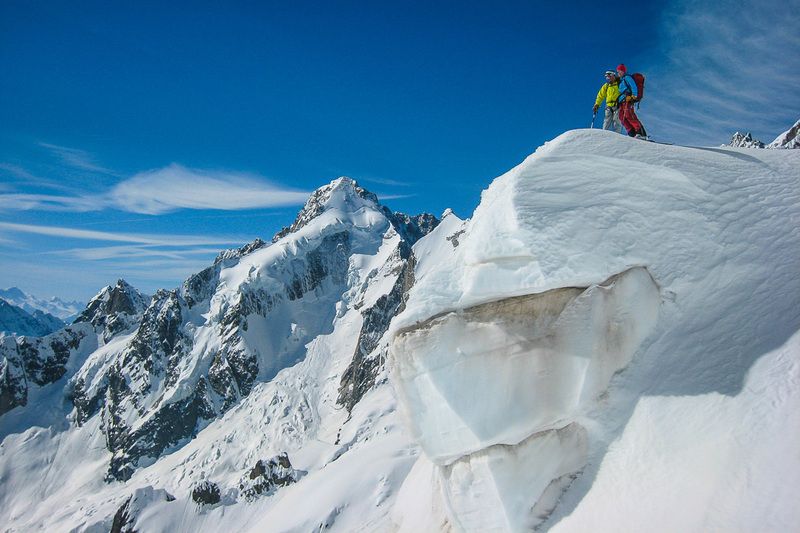 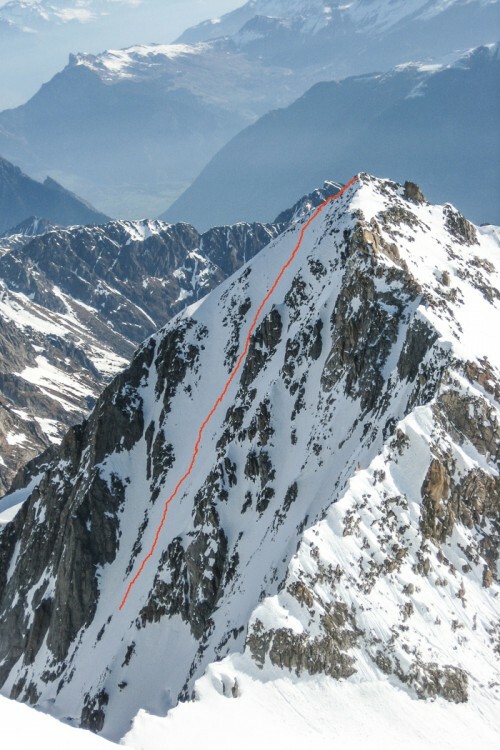 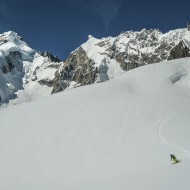 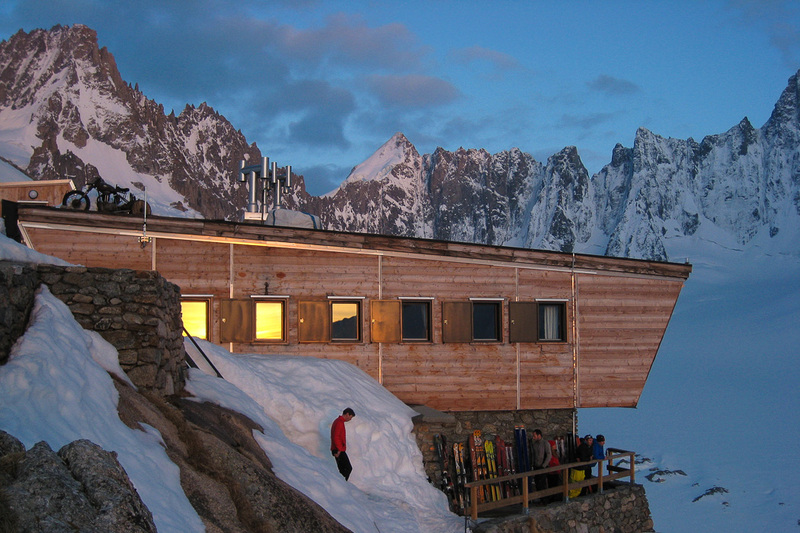 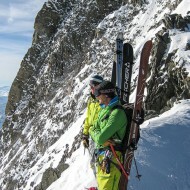 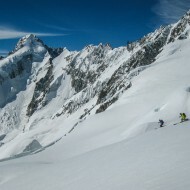 More images from Col Superieur du Tour Noir east face by Luca Pandolfi.